if you join and I win a prize,you get the prize,too. vice versa. 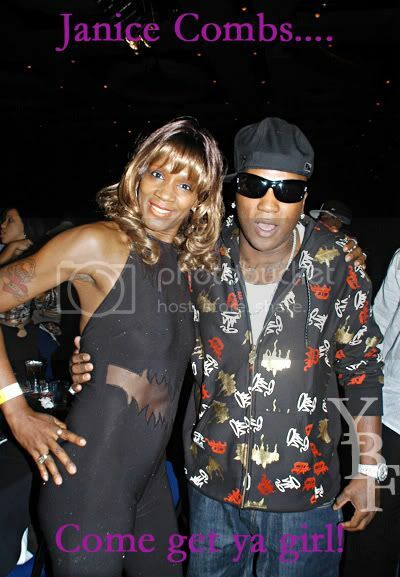 I found this picture of Young Jeezy and Lil Scrappy's mom, and all I'm gone say is she look a hot mess. She look like an old man, trying to dress like a woman. This is just something mothers just shouldn't be wearing esp. if you don't look good. She also claims to be a pimp,and she got on a wig from diddy's mother wig collection. is on now, so go watch it, if your into fashion,and music. I might check it out,but I don't feeling like going upstairs at the moment. I wish I could just watch it online. 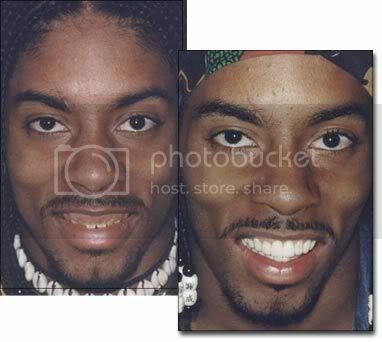 A man's grill should never look like this,this is just pitiful. I don't know how he walked down the street everyday, but I'm glad he got this fixed because he would of never made it on I love newyork with that grill.That's why people need to start talking more care of their children teeth,so they would look like his. This picture below is my favorite out of the two. Beyonce rocking the skinny jeans, once again on this picture. Beyonce always killing em when out on the scene.